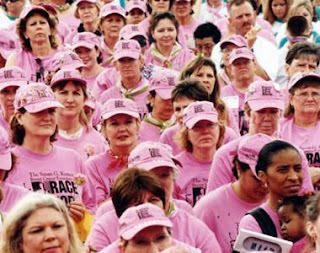 "Although the study was published nine months ago, the NCI, the American Cancer Society, Susan G. Komen for the Cure and other cancer fundraising businesses have made no efforts to reduce breast cancer rates by issuing nationwide warnings to women." Less than two months since the U.S. Preventive Services Task Force issued new guidelines recommending against routine mammograms for women in their forties, a second breast cancer scandal involving a U.S. government panel of experts has come to light which has implications for healthcare reform. An April 2009 study by Jessica Dolle et al. of the Fred Hutchinson Cancer Research Center examining the relationship between oral contraceptives (OCs) and triple-negative breast cancer (TNBC) in women under age 45 contained an admission from U.S. National Cancer Institute (NCI) researcher Louise Brinton and her colleagues (including Janet Daling) that abortion raises breast cancer risk by 40%.